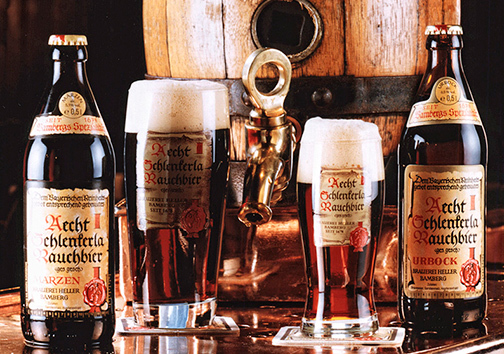 The authentic smoked beer from Bavaria. 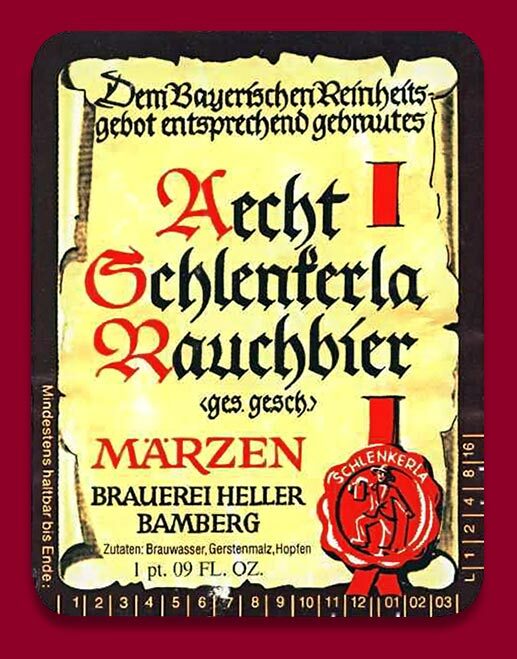 A unique taste with a strong aroma, which comes from the exposure of the beer in smoke from burning oak wood and the use of high quality hop in its making. 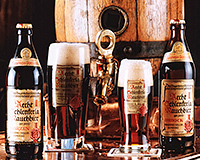 Two tavern-breweries, among which Schlenkerla, are engaging almost exclusively in the making of smoked beer for nearly two centuries. 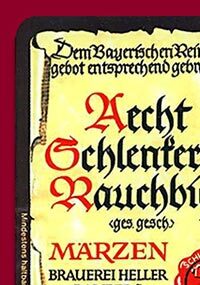 This type of beer remains one of the less known to the beer drinking public, not just because of its unusual taste, but also because of the difficulties in its making, which demands special knowledge and facilities.